The American Society of Professional Estimators (ASPE) presents its 2018 industry award winners. The following are three of the ASPE award winners. ADE Construction Consultants was retained by the design architect to provide independent construction cost management during the design processes of this new business center. Services then began with early schematic design level and continued to the final construction document level. In the beginning of this unique project, the estimated budget was $4,500,000 and consisted solely of a 20,000-square-foot facility and a small warehouse. 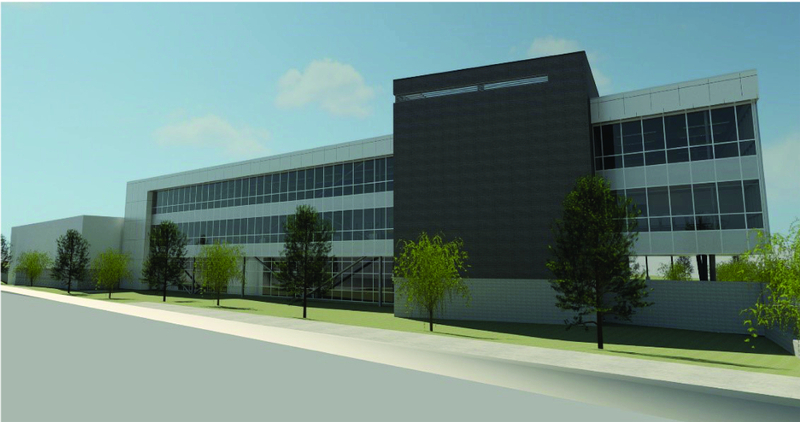 By the end of the schematic design, the client re-evaluated needs of the facility; the original office facility doubled in size, the warehouse was expanded, a lighted truck canopy in the rear area of the site was added, and a large parking area for future expansion was included. The redesigned facility included a two-story, 43,000-square-foot office space, a 10,000-square-foot warehouse facility, a 2,400-square-foot fleet building, and a 10,700-square-foot lighted truck canopy. The site included 8.5 acres for parking and truck areas designed for large turning areas. As in most sites, retention areas were required, with water quality control structures in place. Other site improvements included outdoor courtyards, seating areas, and landscaping with numerous accent trees. The exterior skin of the project was comprised of brick veneer, metal mesh screens, and composite metal panels. This was easily accomplished with a structural steel frame with concrete slabs. An outdoor garden on the roof was a late addition. Working closely with the owner and architect, ADE delivered this project with a variance of 0.99% of the revised budget of $15,500,000. Company Name: ADE Construction Consultants, Inc. In today’s highly competitive, escalating construction market, innovation is critical. It sets one firm, and project, apart from another. And it begins with creative, out-of-the-box thinking. Enter Folia: a turn-key approach to collaborative building. Just five years in the making, Folia was developed by Blach Construction, Quattrocchi Kwok Architects (QKA), and structural engineering firm Gregory P. Luth & Associates (GPLA). The result is a pre-engineered building that blends the best of modular and custom construction, with three patents pending. Steel framed and two stories high, Folia is designed to be built quickly and efficiently. 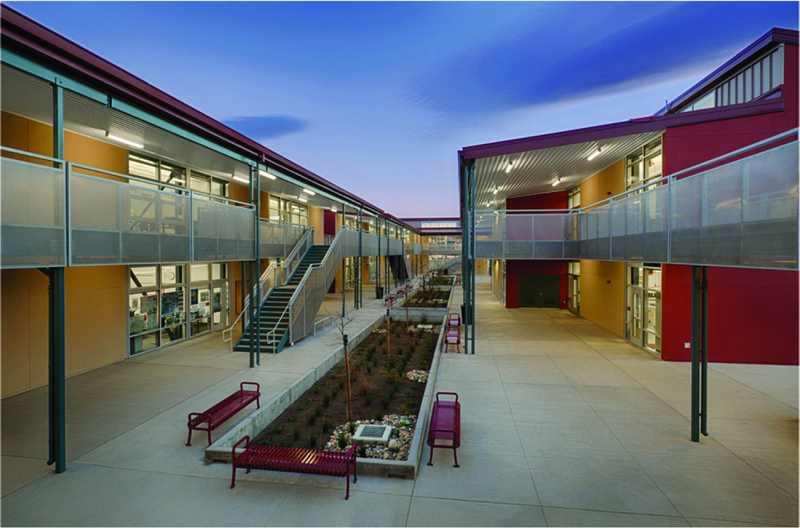 Completed in a mere nine months of construction, the Cupertino High School Folia Complex delivered the scheduling and cost savings of a modular facility, while preserving the flexibility and superior quality of a custom building. 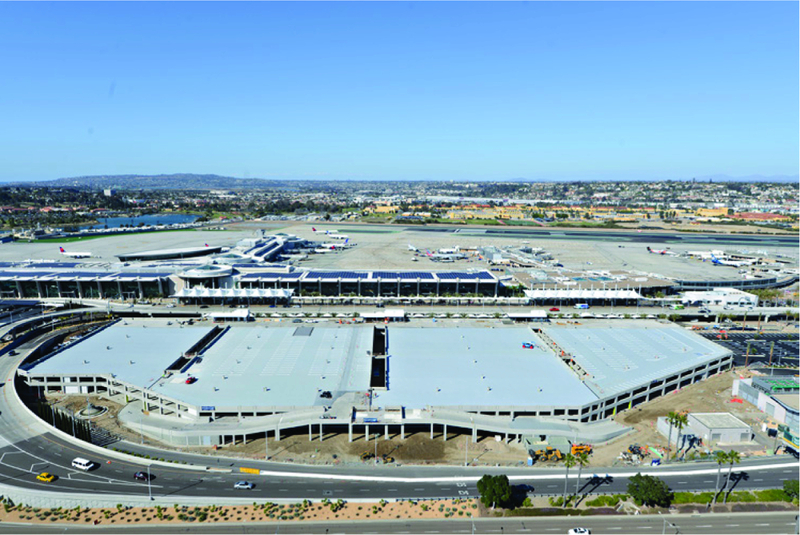 In San Diego, California, the new Terminal 2 Parking Plaza will serve as a gateway and become the first encounter for a traveler as their airport experience begins. Co-located at the Airport with the Airport Authority, and under the leadership of Swinerton Builders Design-Build Parking Structure Experts, a collaborative design-build process is under way. The project site is more than nine acres in size, and the Parking Plaza will span more than 1,000,000 square feet in total parking structure area and contain over 3,000 parking spaces. The Parking Plaza project includes off-site improvements consisting of utility relocations, parking lot reconfigurations, and connection into the existing campus. The project has gone through extensive environmental review through the California Coastal Commission, and the Design-Build Team is mitigating the environmental concerns through design because of the close proximity to the San Diego Bay. Swinerton’s Pre-Construction Team included Kevin Conover as the lead concrete estimator. For more information regarding ASPE Industry Awards, visit www.ASPEnational.org.